If you are one of the 31 million Americans suffering from lower back pain, pain in the neck, and other areas of the spine, then spinal decompression therapy may be right for you. As your trusted local chiropractor in Johnstown, our goal is to provide our patients in Johnstown, Milliken, and Northern Colorado with effective back pain relief so they can live life without pain. Along with providing chiropractic care and massage therapy, Dr. Brad offers spinal decompression therapy to reduce neck and back pain, treat a variety of musculoskeletal issues, and safely reduce muscle tension to relieve pressure on the spine and spinal nerves. 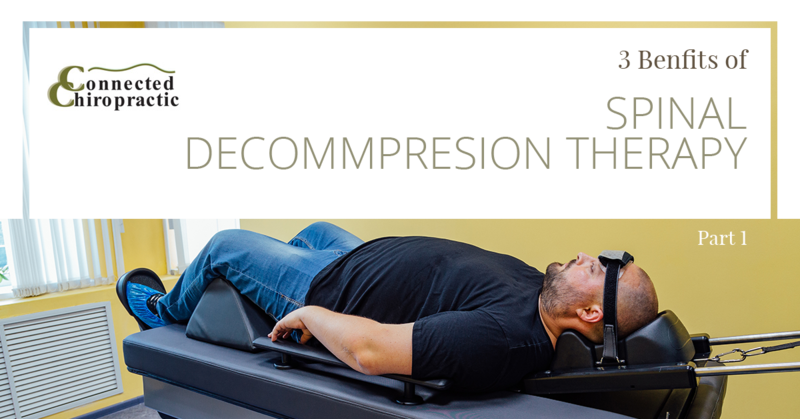 Today, let’s explore three of the many benefits of spinal decompression therapy. Then, give our office a call to arrange an appointment for this effective therapy to remove pain so you can get back to living a pain-free life. Spinal decompression involves gentle, focused stretching of the spine — also referred to as traction — to loosen up the soft tissues that support the spine. Traction effectively decompresses the spine, and more specifically, the intervertebral discs. What’s more, this gentle stretching is a safer alternative to invasive surgery and pain medications. Nonsurgical spinal decompression involves the use of chiropractic equipment to safely and gently stretch the muscles and soft tissues along the spine. By stretching these tissues, spinal decompression releases tension and tightness in the muscles and connective tissues that can cause additional pressure on the nerves, which, in turn, causes pain. 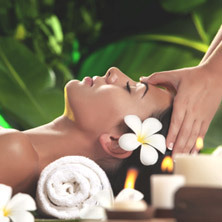 As the muscles are stretched and loosened and tension is released, this removes pressure on the spinal nerves. Once pressure is alleviated, the nerves in the spine can function better, which contributes to neck and back pain relief, better mobility and movement, and improved overall health. These are just a few of the benefits to be gained from spinal decompression for effective neck and back pain relief. If you would like to learn more about this chiropractic therapy or would like to schedule an appointment for chiropractic care or massage therapy, contact Connected Chiropractic today. We proudly offer natural, effective back pain relief in Johnstown for those living in and around our tight-knit community. Be sure to join us next time to learn even more about the benefits of spinal decompression therapy for pain relief.